Mortgage rates have ticked up in the this month. Despite stories saying that rates have “jumped” the rise has been rather tepid, and still hasn’t taken rates back to their post election highs in the 4.25% range. Rates had peaked back in January when some analysts still suspected that Crazy Trump was all an act and that the newly elected President would settle into the office as a regular business-friendly, regulation-busting, Republican. However, the Russia scandal has plagued the administration and health care has twice stalled out, pushing any pro-business legislation off. As a result, rates have basically trended eastbound and down, if you will. 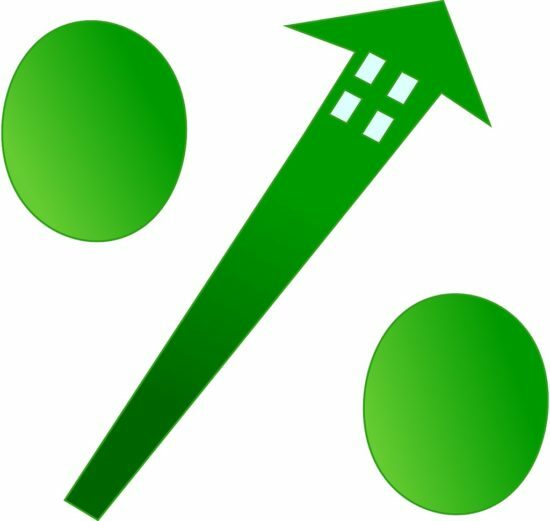 Do Mortgage Rates Really Matter? It’s always dangerous to say, “This time it is different,” in the world of finance. Such sentiments are typically used to justify things that should not be justified. However, is the world really different this time around with regards to mortgage interest rates? Consider that rates are still historically low, and that they will continue to be so long as they stay below the 5.0% to 5.5% range. A full percentage point is several Fed interest rate hikes away (a year… two? ), or an economy that shakes off its slow motion ascent and plunges into overheating mode. Consider also that the limiting factor for most new home owners has become the purchase price. With too many homes, costing way too much, the interest rate on the mortgage isn’t the factor it once was. A young couple starting out that might be able to swing a mortgage payment on a new $300,000 house at 3.75%, but not at 4.0%, for example, would indeed have to watch mortgage rates carefully. But, with so few $300,000 houses on the market, they may be priced out by the fact that the only houses that currently meet their needs start in the $500K range. That being the case, mortgage interest rates are entirely moot. In addition, mortgage rates have been so low, for so long, is it really plausible that anyone who wished to refinance at the least lower rates (and has the means and credit to do so) hasn’t already done it? These are the people who may truly be impacted by rising rates. However, even in this case, the limiting factor is often the amount of equity, and not the ability to make the payment. Consider a couple looking to remodel (the most common reason to refinance) that has $50,000 in borrowable equity, on a 30-year fixed mortgage. Assuming they aren’t trying to do some sort of 100% finance (which would be different rates, as well), chances are that they have been paying on a mortgage that had the same balance that they will have after borrowing already, likely at a very similar interest rate. In this case, the ability to borrow the $50,000 has little to do with whether the payment is $1,850 or $1,900, and everything to do with if they qualify and the amount of equity they have. In other words, mortgage interest rates may not have the same pull on the economy this time as they have in the past — and may again in the future. The real story in all of this is the slow rise in interest rates from the Federal Reserve, as well as the potential unwinding of some of its “extraordinary stimulus” measures. The banks will feel the main impact as the ease of generating a profit from lending funds against an almost zero interest rate cost will require raising rates that may not be able to be raised. Many credit cards rates are already in the low to mid 20%. Raising them by saying, “Hey, it’s just Prime + A Number,” will only work for so long. Interest rates in the 30% tend to be unacceptable to regulators, and customers alike. The profit spread will therefore tighten, which might make things more difficult for banks in the short run. What nobody will say, but everyone knows, is that the banks haven’t had to compete in a “real” fiscal environment since 2008, and they may have forgotten how. The result could be either sliding bank profits, or customer gouging, neither of which is a great foundation for a growing economy. As always, a diversified portfolio is best for long-term investors, but if you use a very fine diversification process, or you have some medium trades going on, it’s time for a second look at your financial holdings. In the short-term (next six months), we aren’t there yet, but be sure to watch like a hawk after the next two rate increases.